The tree is up, the lights are twinkling, and you are busy hunting down JUST the right gift for everyone on your "nice" list. Why not grab a cup of cocoa and pick up something nice for yourself, too? 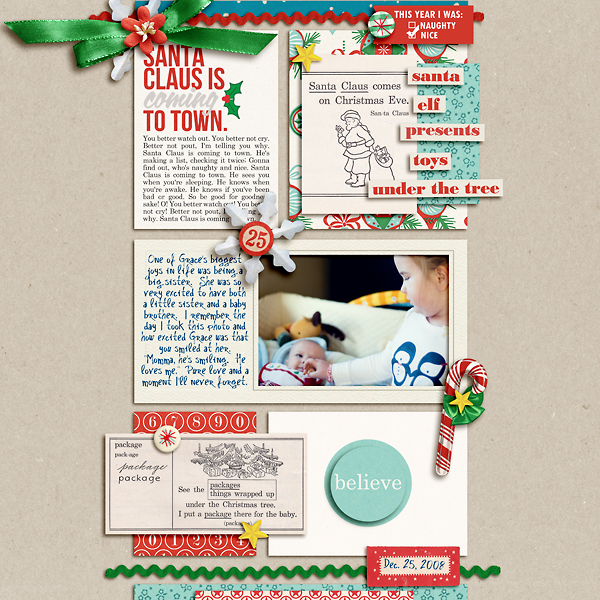 My Santa's Workshop: journal cards will be just the thing to keep you in the holiday spirit! 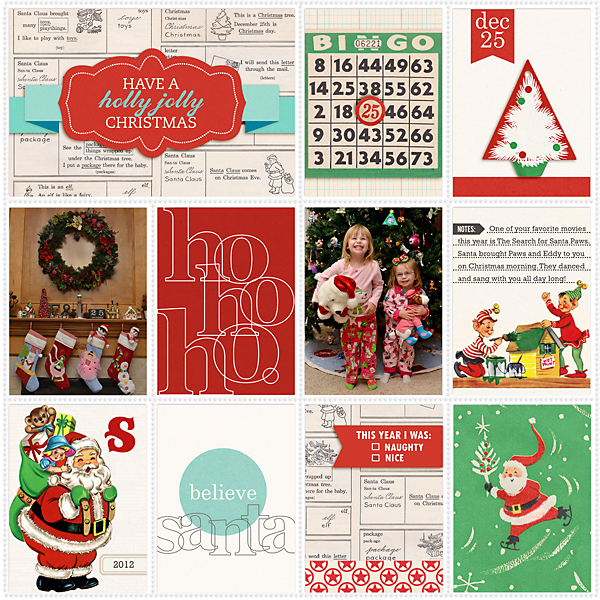 With their fun, retro stylings, jolly Santas and playful elves, these cards are just the thing for your December documenting needs- daily or otherwise. 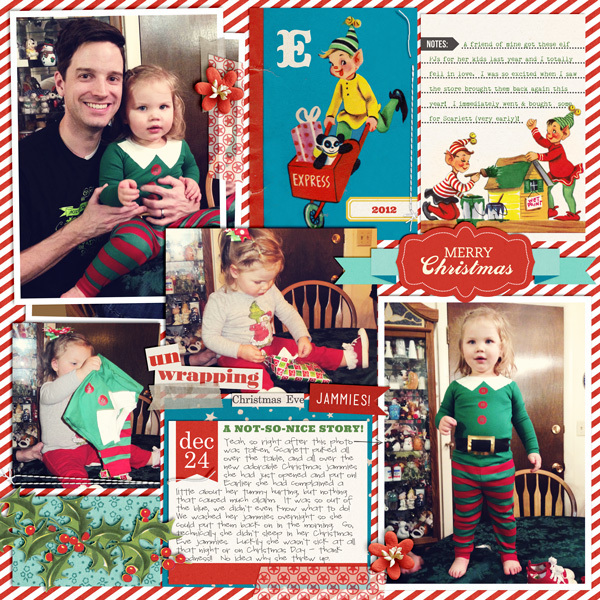 They are amazingly versatile: use them to create beautiful holiday cards, "pocket style" layouts, mini books, party invitations, or even hybrid home decor crafts! You will find inspiration for all of your holiday projects! 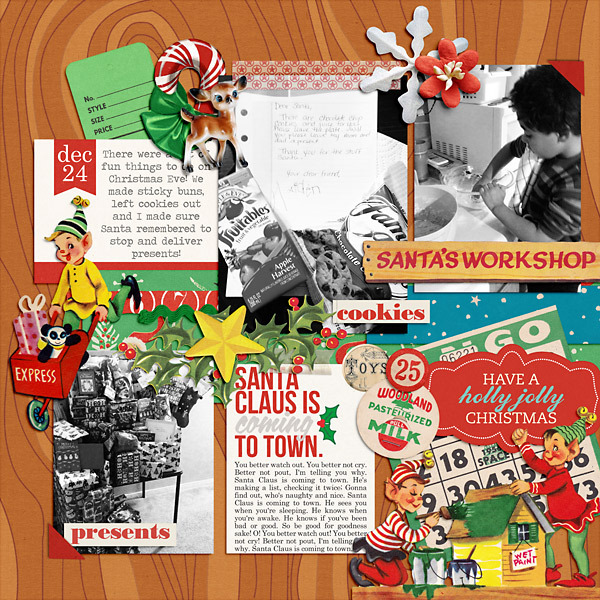 No matter what your scrapping needs, the Santa's Workshop: journal cards will help you artfully document all your cherished Christmas memories. And the best part? Everything is perfectly sized to tuck into Project Life templates and page protectors!